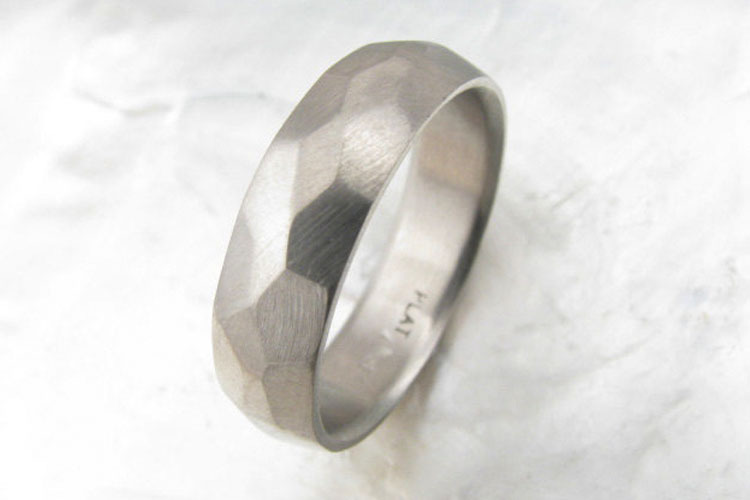 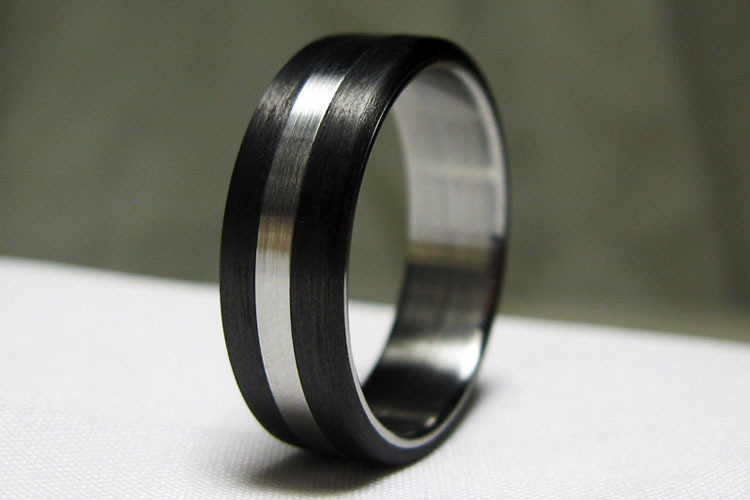 A wedding ring is sometimes the only jewelry that a man wears, so why not make it count. 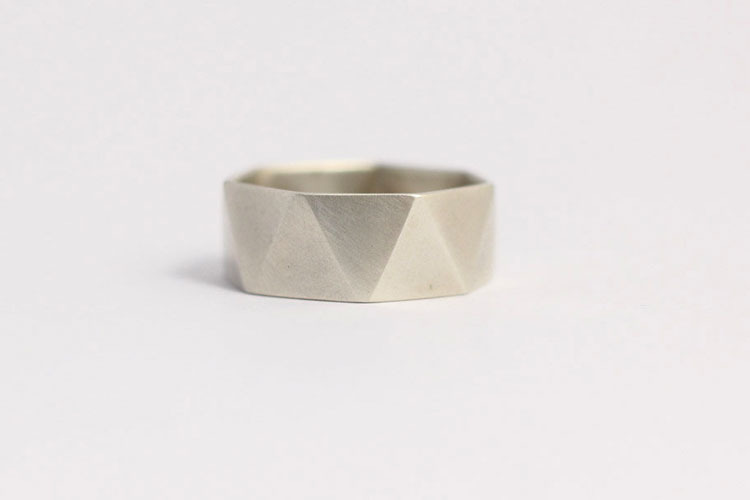 All these rings are modern and minimal, but with a twist. 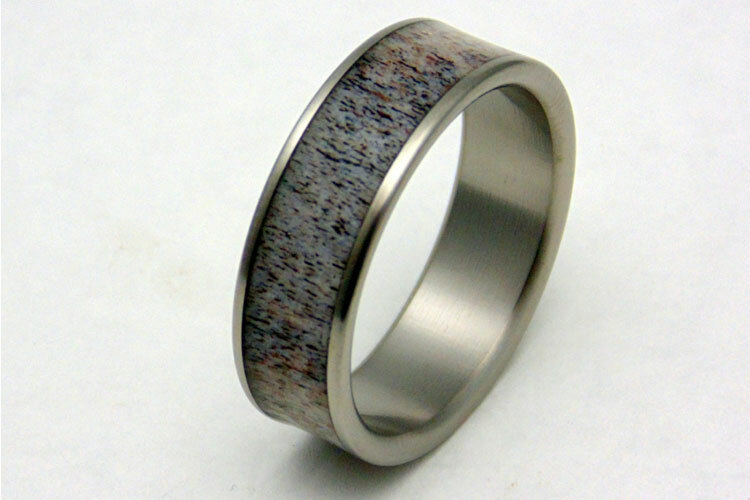 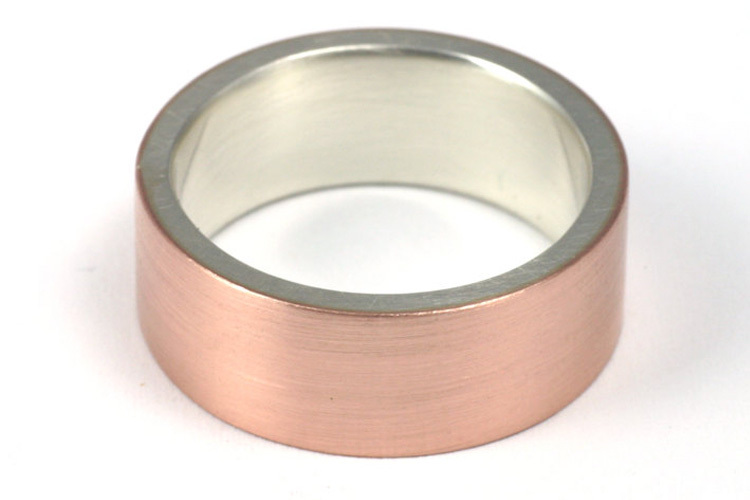 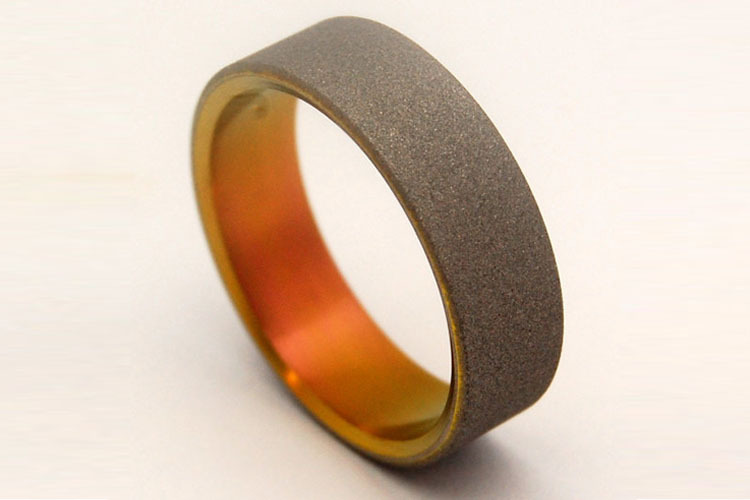 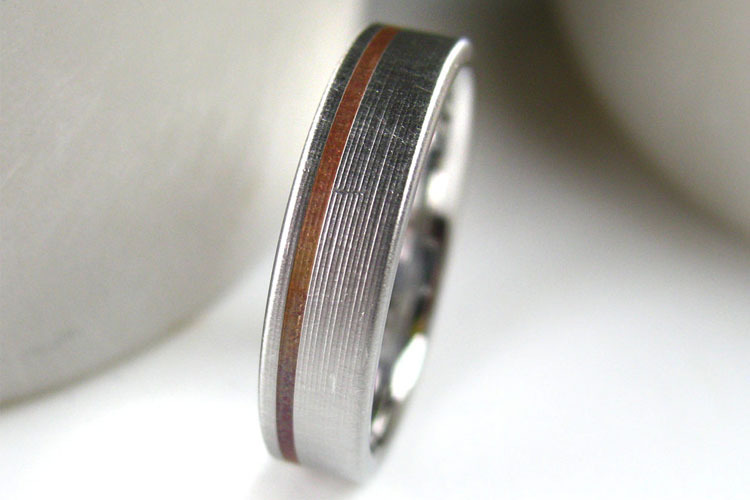 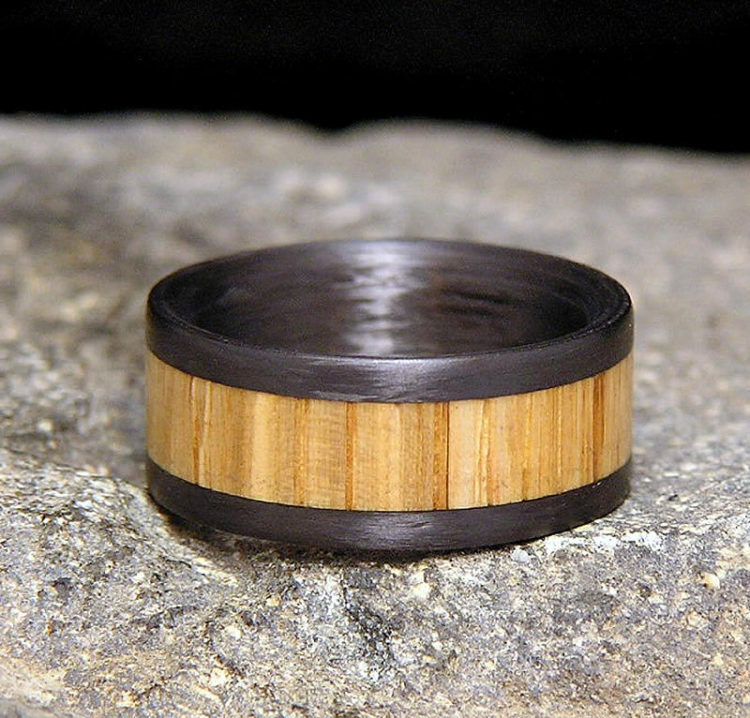 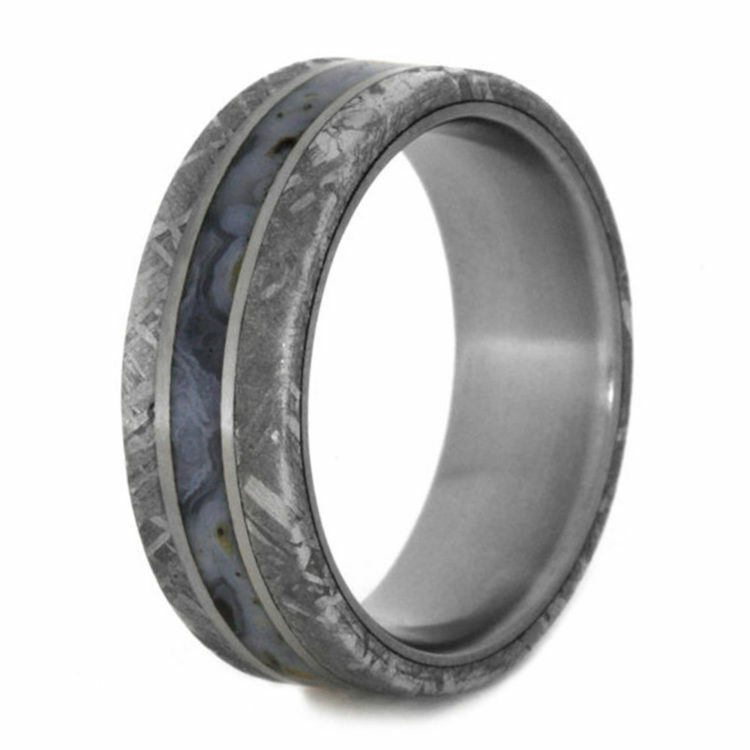 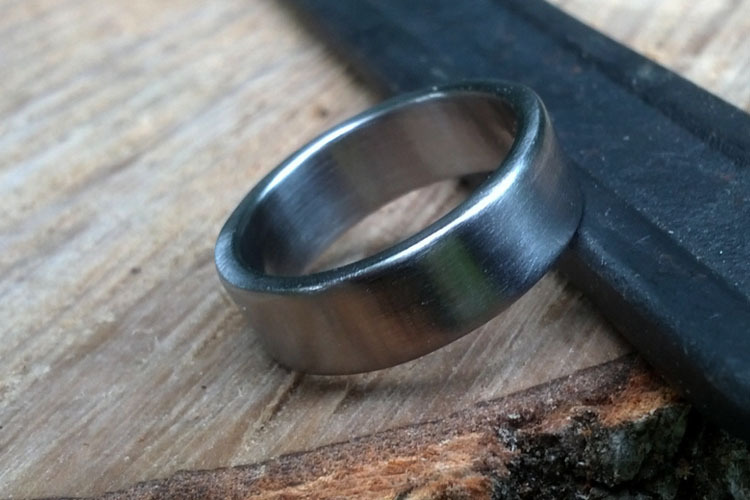 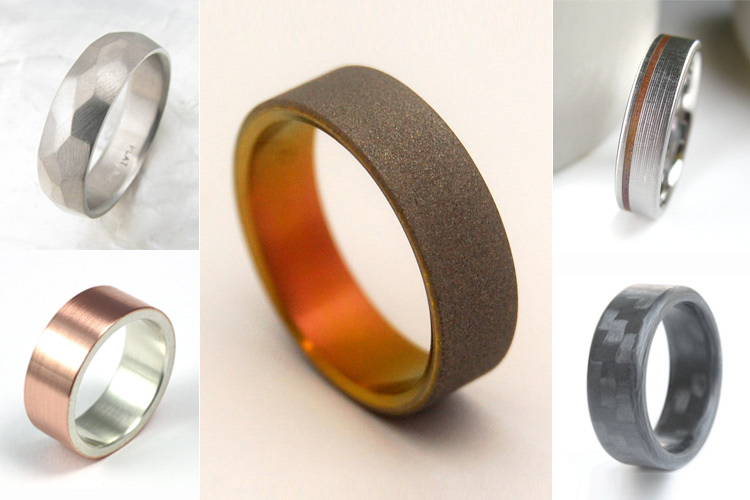 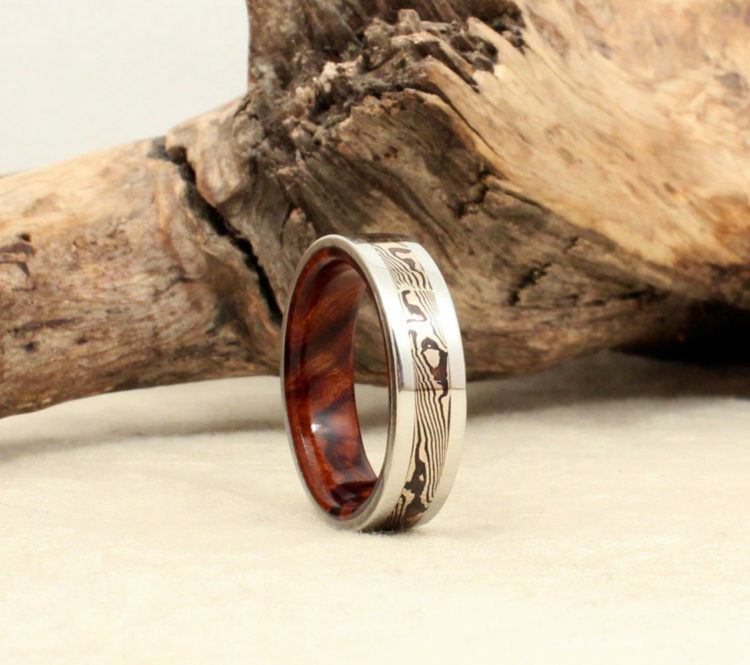 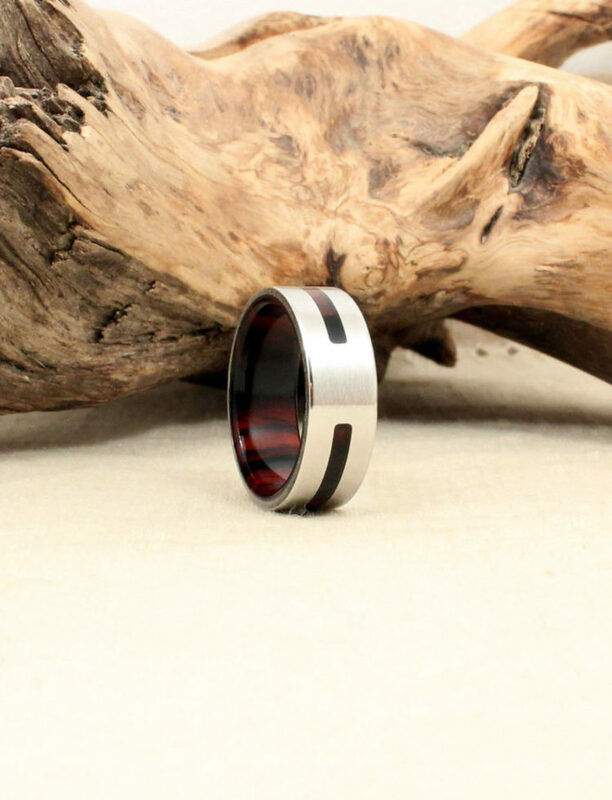 Some of these unique wedding rings even come in unusual materials such as carbon fiber (black), whiskey barrel wood, antler horn, meteorite, and even recycled shotgun metal – an amusing nod to the old school “shotgun wedding.” While yellow gold is still the most traditional choice, we noticed several rings in rose gold, and even copper, for guys interested in a warmer toned metal. 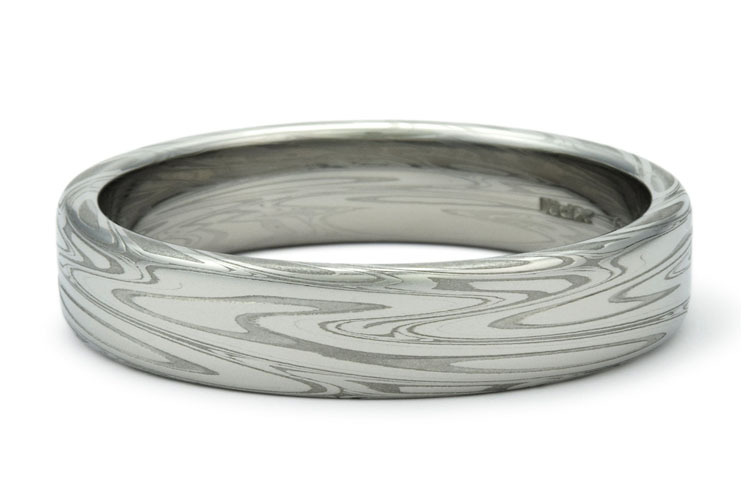 Platinum, silver, titanium, steel, and palladium are perfect choices for a those wanting the quintessential modern silver finish. 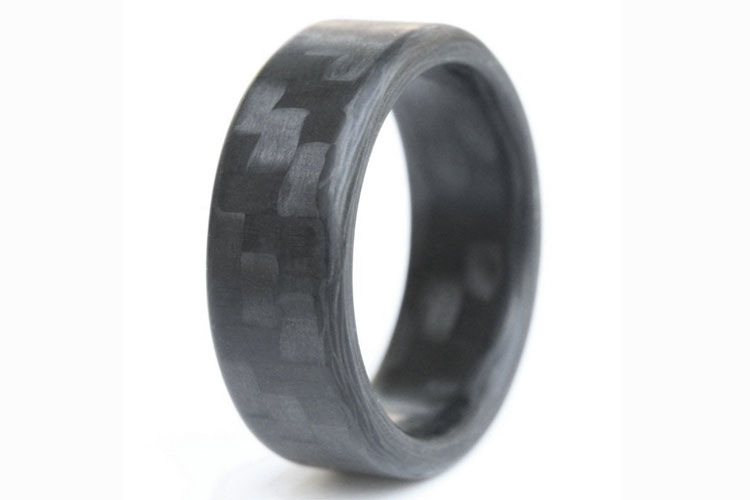 Sure, these unique wedding rings were selected with men in mind, but their simplicity makes them work equally well for women. 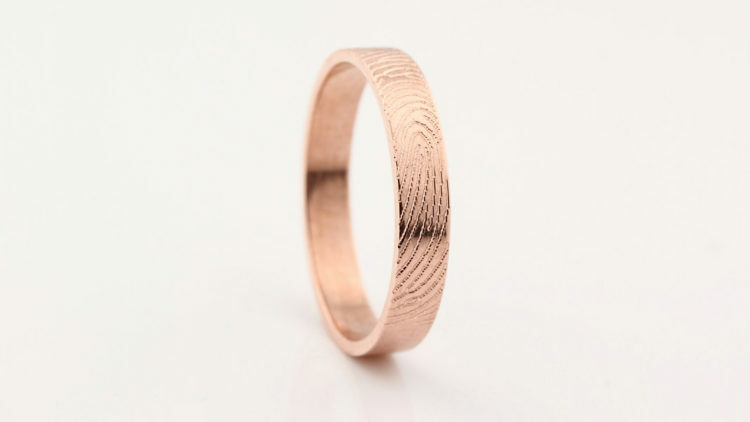 All wedding bands are handmade by independent designers, including two that we’ve featured before Beth Cyr (experi / metal) and Jesse Danger. 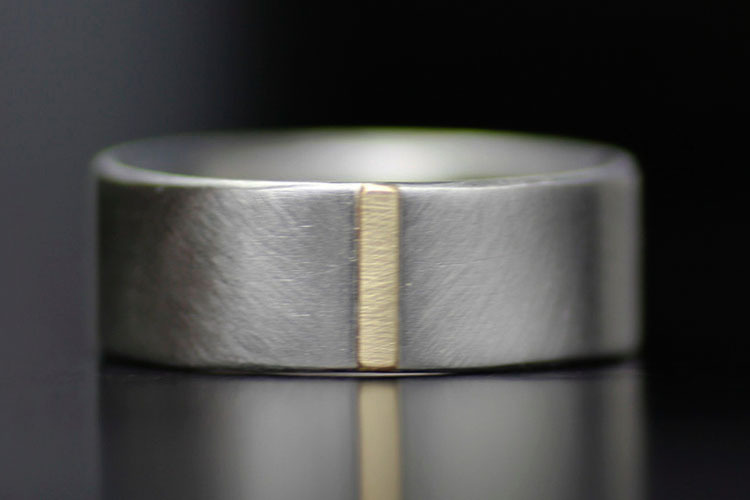 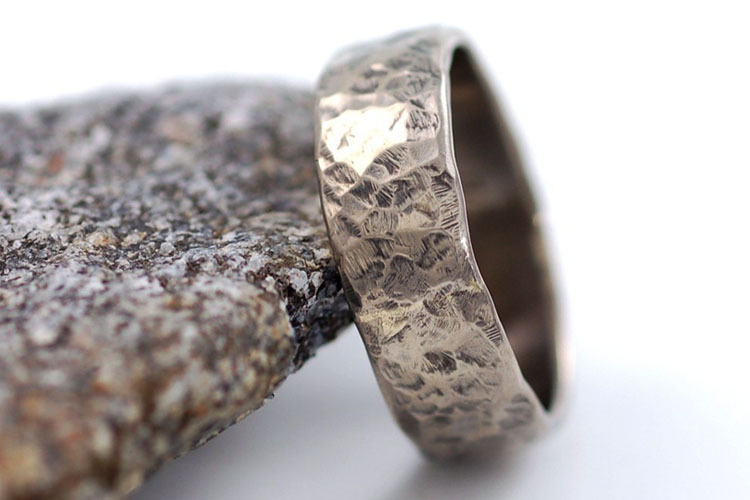 Below are 14 of our favorites, but don’t forget to check out our curated Etsy collection of men’s wedding rings.